Academic processes in Faculty of Pharmacy are very tightly related with the role of lecturers. To ensure the comfort of the lecturers, Faculty of Pharmacy provides representative lecturer rooms. 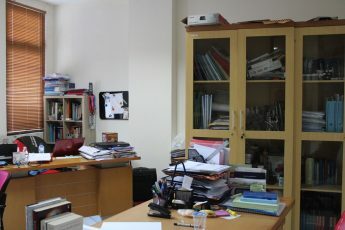 Some of the rooms are occupied by 2 – 3 lecturers, while other rooms are for 1 lecturer. Each room is equipped with table, chair, and cupboard. Total area for lecturer rooms is approximately 718.72 m2. Most of the rooms are located in the second floor of Faculty of Pharmacy building. For lecturers who are also head of laboratory, there are also rooms for them in each laboratory. Faculty of Pharmacy has adequate and representative lecture room to guarantee the processes of learning to take place in a conducive manner. 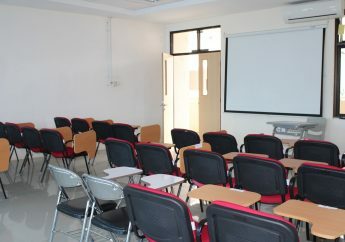 The lecture rooms are divided into rooms used by different study programs. 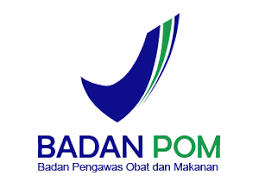 There are four study programs managed by the Faculty of Pharmacy i.e. bachelor study program, professional pharmacist, master, and doctoral study programs. The total lecture rooms available are 16 rooms where each room has capacity approximately 40 students. Each room is equipped with liquid crystal display (LCD), white board, LCD screen, central AC, CCTV, and chairs. Faculty of Pharmacy has some sport facilities used by academic community to keep healthy through physical activity. By the availability of the facilities, the students and lecturers are expected to be healthy and keep spirited to undergo routine academic activities in this institution. 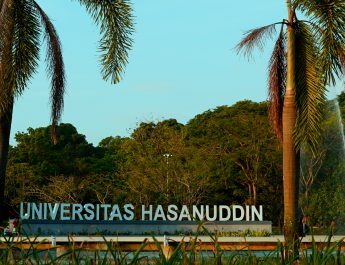 These sport facilities are not only available in Faculty of Pharmacy, but they are also available in sports center of Universitas Hasanuddin. There are many sport activity units such as sport unit for football, swimming, basketball, volleyball, athletics, tennis, table tennis, and karate. 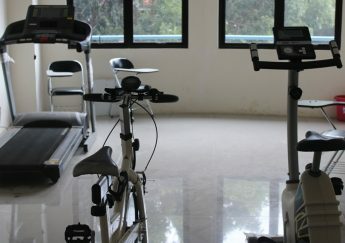 One of the sport facilities available in Faculty of Pharmacy is fitness equipment. The equipment can be utilized by academic community and opened at 08.00 – 18.00 Wita. Some of the equipment are treadmill and fitness bicycle. The equipment is located in third floor in the building of Faculty of Pharmacy. 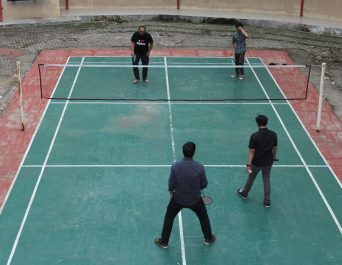 Faculty of Pharmacy has also a badminton field. This field was built in 2015 and has been being used since that moment to play the sport. After attending a class, the students always play badminton to relieve the stress during academic activity. Equipped with good lighting, the field can also be used to play at night. Designed outdoor, the students can watch the match from upstairs of the building. This field can be used either in weekdays or weekends. Faculty of Pharmacy has no special room for library. It only has a small room namely reading room. 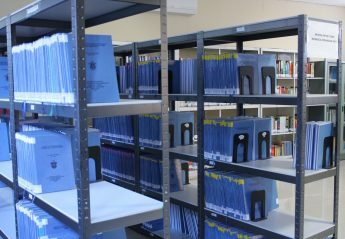 This room is used for students from all study programs in the faculty and utilized to find information as well as references. There are thousand textbooks, bachelor, and master thesis. To facilitate the meeting of senate members, Faculty of Pharmacy has a special senate room. The room is located in second floor close to dean room. The meeting is held to discuss important issues that are being faced by the institution. In addition to senate meeting, this room is also used to welcome special guests visiting the faculty. 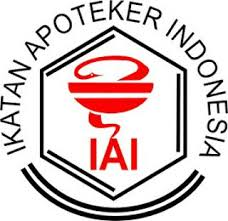 The chair of senate of Faculty of Pharmacy is Prof. Dr. H. M. Natsir Djide, MS., Apt. and the secretary is Usmar, M.Si., Apt. In a meeting room, a lecturer is delivering direction towards assignment given to the students. This room is located in second floor in the building of Faculty of Pharmacy. The capacity of this room is available for 40 people. Functionally, the room is used to conduct small meeting such as discussion about the assignment and focus group discussion. 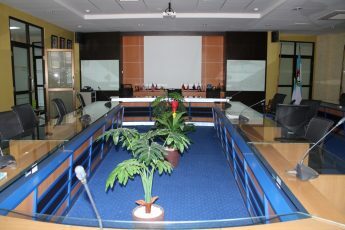 To support the meeting, this room is equipped by the availability of central AC, liquid crystal display (LCD), and screen.